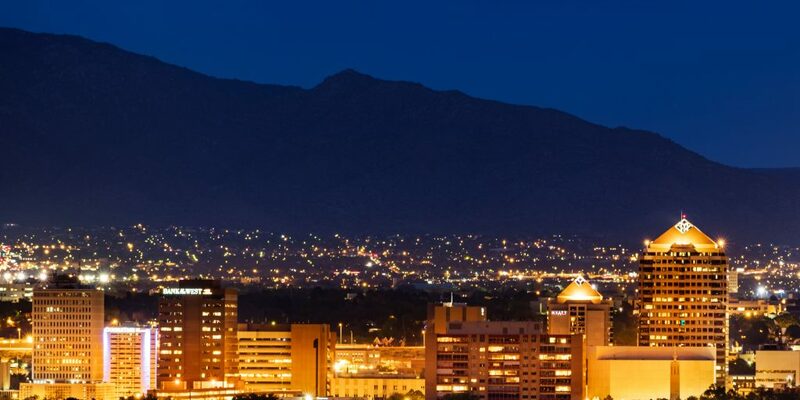 Nighttime skyline of Albuquerque at night in front of Sandia Mountains. Photo via Getty Images. A new agreement between New Mexico’s largest city and its largest electricity provider is bringing Albuquerque one step closer to running on 100 percent renewable energy. On Nov. 21, the city’s Mayor Tim Keller announced it’s partnership with Public Services Company New Mexico (PNM) to build a new solar power generation station that will in turn boost the amount of renewable energy that the city can use to power its buildings, the Associated Press reports. Powering city buildings currently costs $1.2 million per month, with only 4 percent of the city’s energy portfolio consists of renewable energy, the AP reports. As part of the new agreement, the city will buy 25 megawatts of solar electricity that the 50 megawatt plant would generate, according to the Journal. Once the PNM solar project is done however, the city will be able to switch 58 percent of its energy use to solar power within two years, KRQE Media reports. “We are a huge payer of electricity bills and so we want to try to minimize that as best that we can and that also includes a commitment to dealing with issues around climate change and sustainability,” Keller said, per the AP. The agreement with PNM is part of a larger sustainability plan that Albuquerque announced on Nov. 21, according to the Journal. The plan’s goal is to have the city run on 100 percent renewable energy by 2022. Other parts of Albuquerque’s plan include creating a city green team and passing an executive order that requires municipal facilities to meet higher energy standards, KRQE reports. In 2016, Albuquerque set a goal to generate 25 percent of its municipal buildings’ energy through renewable resources, the AP reports. After Keller took office in late 2017, he introduced a $25 million, bond-financed project that involved installing solar panels at a dozen municipally-owned buildings. Once the plan is implemented by 2022, it will equate to removing about 93,000 metric tons of carbon dioxide emissions each year, or the equivalent of removing around 20,000 cars from the road in one year, the Journal reports.